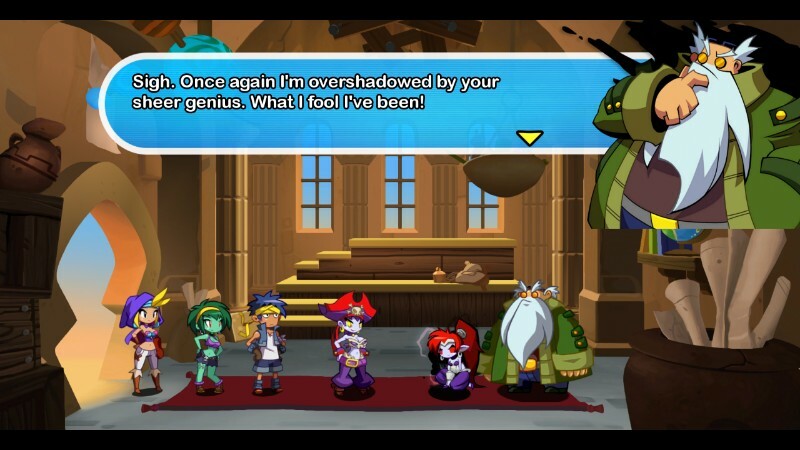 Let me start by saying I absolutely adore Shantae, and was a fan of Half-Genie Hero. The original HD quest had the trademark pluck and charm the series is known for, along with lush graphics, sweet tunes and fun gameplay. It was a great game, but not one without some problems, which I addressed in my previous review. 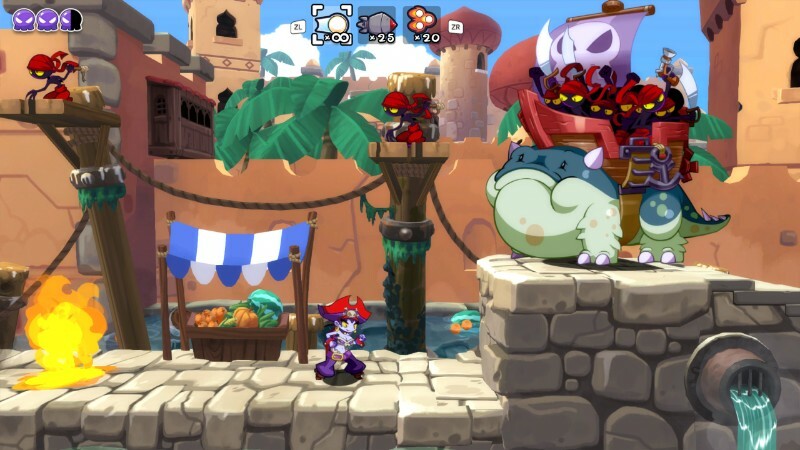 However, those problems weren’t enough to diminish my anticipation for playing the game as the Pirate Queen herself, Risky Boots! Since I was a backer, I got to play Pirate Queen’s Quest early, and I used that time to carefully weigh this new DLC experience against the original. The question then is how much fun is it being a risque pirate? Early on you start to suspect Risky is a unreliable narrator, but sadly they don’t capitalize on that. The story starts almost at the end of Shantae’s quest, with the adorable genie getting conned by Risky and effectively taken out of her way (avoiding spoilers if you haven’t played the original game). That leaves everybody’s favorite purple-haired pirate free to search for components to perfect and weaponize the tool that will grant her ultimate control of the Genie Realm, and through that, control over everything else. But first she has to go and beat up those stupid Barons to get the stuff she needs (you didn’t expect Risky to build it herself, did you?). I will say that I love the new HUB area of Risky’s ship, with her lounging in a bathtub, waited on hand and foot by her Tinkerbat minions. Talking with each of the three Tinkerbats provides a few options: to travel, taking you to the world map; to save your current progress; or to ask for hints if you get lost. 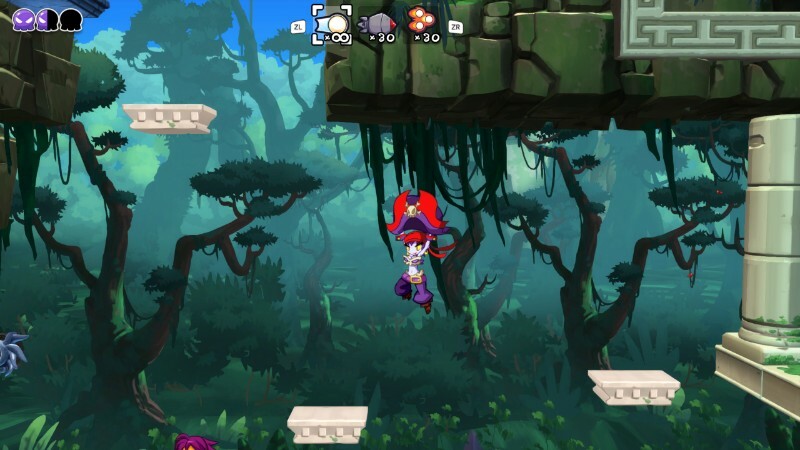 One thing that differentiated Risky’s quest from Shantae’s is that Risky can set sail and plunder the levels in whatever order she desires, and better yet, when returning to a stage you can start at any section of it. Having said that, I decided to tackle them in the same order I did as Shantae, just for consistency. While theoretically you can beat them in any order, I think some stages require specific abilities only granted upon beating a level, so I’m not sure you could actually tackle the last stage first, for example. I would have to play through a second or third time to confirm that though, so let’s move on. One of my biggest complaints with the original Half-Genie Hero was the fetch quests. I am happy to report that issue no longer exists. While it’s true that Risky needs to get the 5 components and 15 Crystals, you’re free to find them at your own pace. There are no nosy villagers whose bidding you need to satisfy just to unlock new stages or items. 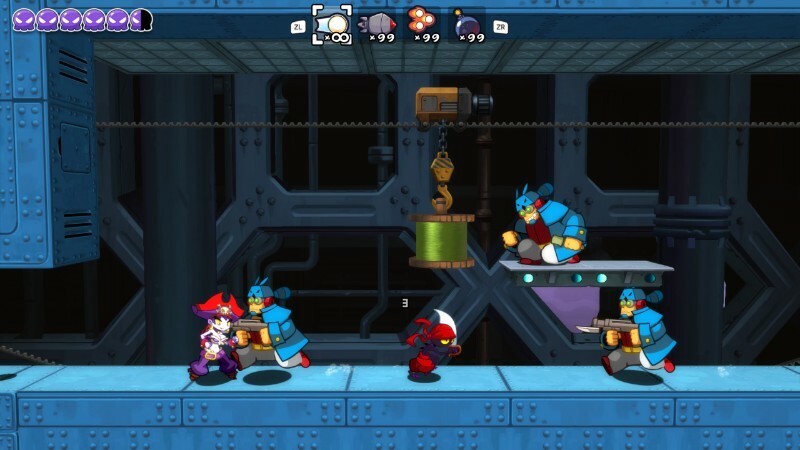 You just jump into a stage, beat the boss, and when you return to your ship, you’ll be rewarded with a new ability, such as the Cannon Jump or Pirate Hat. These might sound familiar to you if you’ve played Shantae and the Pirate’s Curse, and it’s true that many of the same abilities show up here—which makes perfect sense, since Shantae got them from Risky herself. A couple, such as the Grappling Hook and Kraken Orb, are totally new, just to keep you on your toes. As if that wasn’t enough, you can use Dark Magic you find hidden in stages to upgrade all your items, including the abilities themselves. By upgrading the Cannon Jump you’ll be granted additional shots, for example. You can (and should) also use Dark Magic to upgrade your stats, such as your Health meter or Ammo Belt. Overall, I rather appreciated the more open, streamlined nature of Pirate Queen’s Quest. As far as the art design and music, those are largely unchanged from Half-Genie Hero, which while not a problem, was somewhat disappointing. I understand that this is DLC and not technically a standalone game, but I was hoping that Risky would have a couple new killer tracks to dance to. On the more positive side, Christina Vee’s voice work really makes Risky shine as a character, with snappy and saucy one liners. 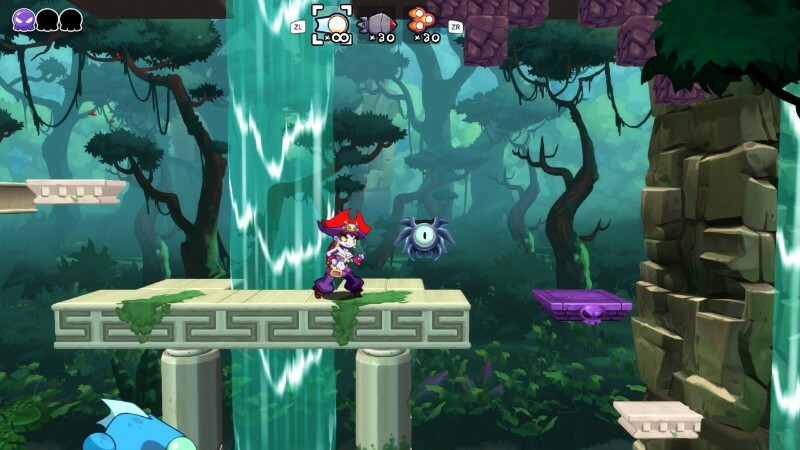 Also appreciated was how WayForward mixed things up by including some new enemies in the game, as well as older enemies that weren’t present in the original quest. Without going into details, there is also one new boss battle in Pirate Queen’s Quest, and it’s utterly fantastic, even if the rest of the bosses are mostly unchanged (I think they toned down the power of the Giga Mermaid’s attacks in this one). 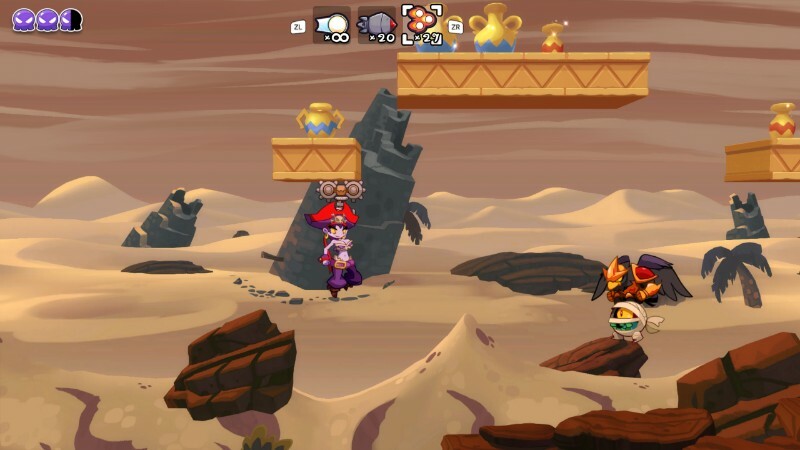 Gameplay-wise, Risky both plays similarly and quite differently from Shantae. Her sword strikes are fast and furious and she can do a slide move to sneak into narrow spaces. She also starts out equipped with both a Pistol, which fires various types of ammunition, and an endless Tinkerbat horde which she can summon one minion at a time to rush foes. Essentially, the secondary items that Shantae has to buy to use, Risky has equipped from the get go. I also found it funny that, despite being a pirate, Risky doesn’t collect any gold whatsoever. She instead relies on her minions for new abilities and Dark Magic to upgrade her skills. You’ll never have to buy a single item, and beating enemies usually rewards you with the health restoring food you’ll need or additional ammo. 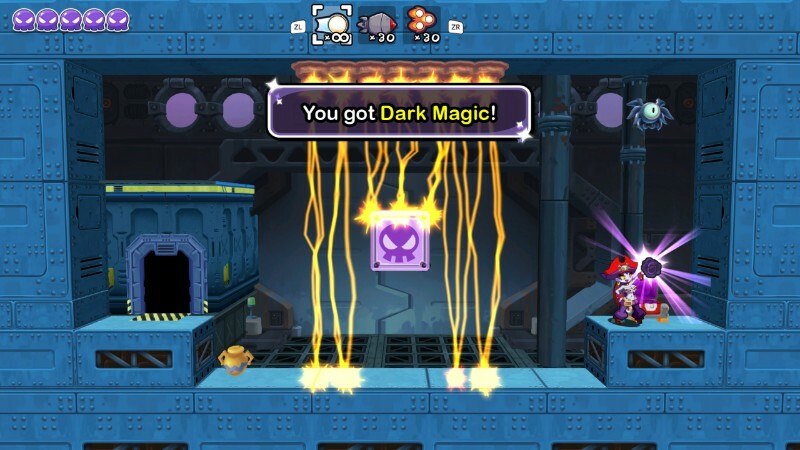 While it’s true Risky lacks Shantae’s magical transformations, once you’ve acquired and fully upgraded her own abilities, she’s a veritable killing machine, and you won’t feel like she’s any less powerful than our lovable genie. 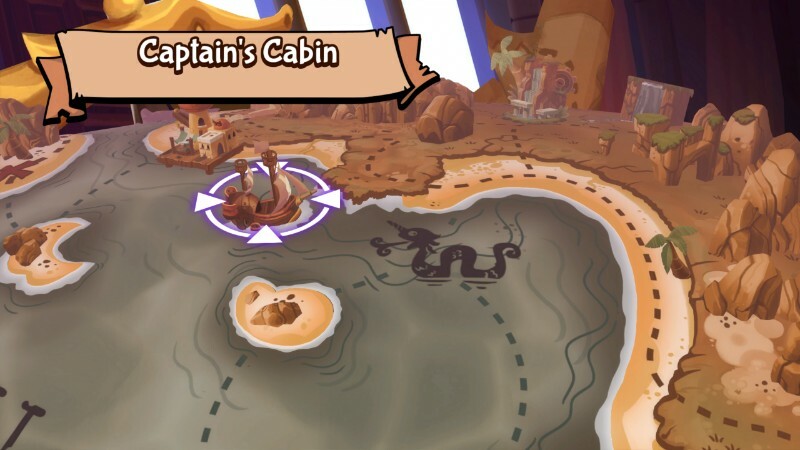 Now, as much as I enjoyed Pirate Queen’s Quest (perhaps even more than Half-Genie Hero), there are some areas that it stumbled a bit. While it’s a blast playing as Risky, firing bullets, summoning minions and hunting arcane relics, the game never explains the controls. While that’s fine for the basic attacks that Risky and Shantae have in common, I initially had no idea how to activate any of her abilities. That Tinkerbat horde I mentioned? I didn’t discover how to do that until the 3rd stage in. To be fair, those abilities that are common between this game and Pirate’s Curse have the same controls, but the new ones like the Grappling Hook I had to discover by myself. All the game really needed to do was have a brief intro stage or bring up a control list from the pause menu (I checked, there currently isn’t one). Another minor complaint I had was the overall lack of story in the DLC. There’s no grand villain set against Risky, and she’s pretty much her own worst enemy the entire game. Risky lacks self awareness, is very self-centered and motivated (to a fault). Which isn’t to say that she’s dumb or ditzy, just in her own world. While that’s fine for helping show her personality, it doesn’t contribute much to the plot. Much as I hated the fetch quests in the first game, I missed conversing with the residents of the game (even if they would be cowering in terror from Risky, that would be something). This was exacerbated by the fact Risky’s Tinkerbats never speak one word the entire game. I’m not sure if that’s because they can’t or choose not to, but it was a bit of a downer. Lastly, while the bosses and levels are just as fun here as they were in Half-Genie Hero, I would have been ecstatic if there was at least one new level in the game. To be fair, many are smartly tweaked to make use of Risky’s unique skills (such as hitting cyclops switches with bullets to provide temporary platforms), and that’s great, but I think the game needed a little something more. Having said that, I greatly enjoyed my time with Pirate Queen’s Quest. 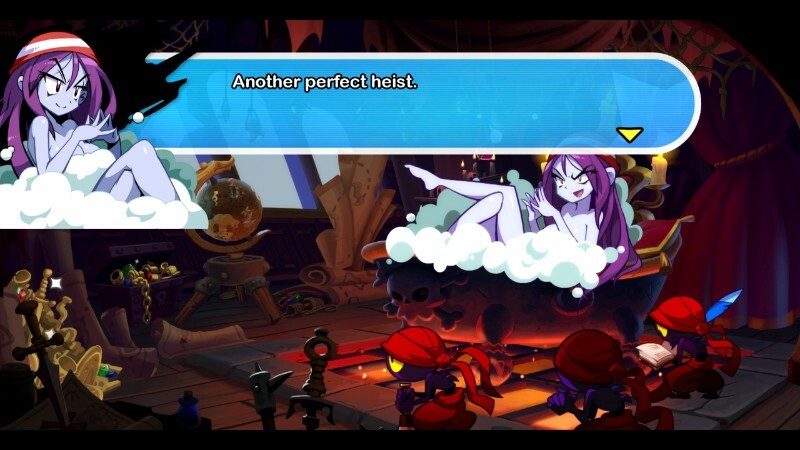 After playing this DLC adventure, I can say with confidence I would love Risky to get her own standalone game, maybe even a prequel that shows how and why she became a pirate queen, as well as where the Tinkerbats came from. Though I had some minor complaints, all in all I feel it fixed the issues the original game had and offered a streamlined and fun experience. I managed to beat it in a little under three hours with 93% item completion. 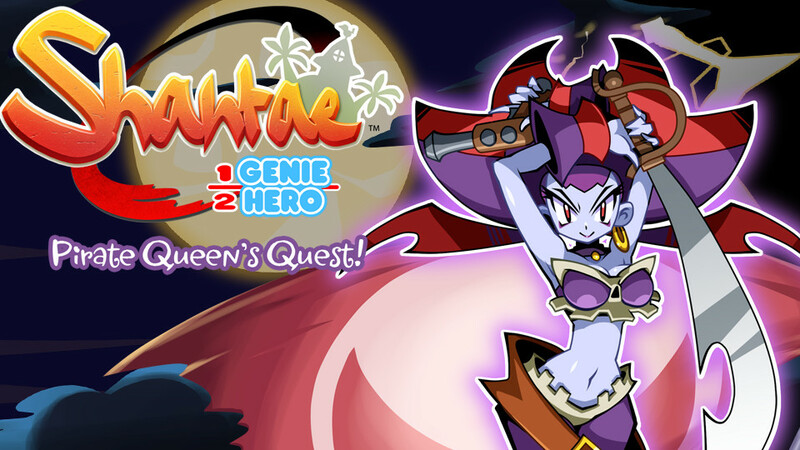 For $9.99, this DLC is a must have for any fans of classic platformers, lovable genies, naughty pirates or who just want to support WayForward. If anything, this just made me hungry for more cartoony adventures in this lush world. 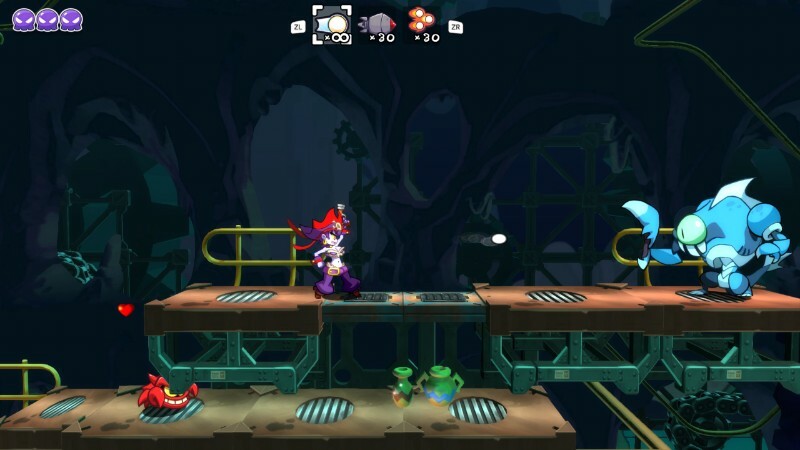 Here’s hoping we won’t have to wait too long for the next game in the Shantae series.